Asus today launched Asus ZenFone Max M1 and Asus Zenfone 5 Series Smartphones in the Philippines which was announced at MWC 2018. 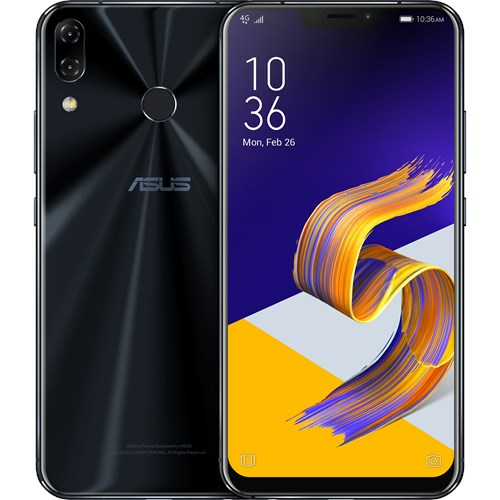 Asus Zenfone 5 features a 6.2-inch Full HD+ 19:9 Super IPS display with notch design and 90% screen-to-body ratio powered by Snapdragon 636 processor with 4GB LPDDR4x RAM and 64GB internal storage. Dual SIM device runs on Android Oreo with ZenUI 5.0. On Camera, It has a 12-megapixel rear camera with support for OIS, Sony IMX363 sensor and 0.03s Dual-pixel PDAF along with AI scene detection to detect 16 type of scenes automatically.ASUS also has ZeniMoji, similar to the iPhone X’s Animoji. It also has an 8-megapixel front-facing camera with auto portrait and Selfie panorama modes and has Face unlock apart from fingerprint sensor on the back. It has dual speakers with five-magnets and NXP Smart amplifier. It is also the world’s first smartphone with DTS Headphone: X for 7.1-channel surround sound and comes bundled with Hi-Res Audio earphone.Packed with a 3300mAh battery with ASUS BoostMaster fast charging and AI charging. Asus Zenfone 5Z has a 6.2-inch Full HD+ 19:9 Super IPS display with notch design and 90% screen-to-body ratio powered by Snapdragon 845 Processor with 6GB LPDDR4x RAM and 128GB storage, and 8GB LPDDR4x RAM with 256GB storage expandable memory up to 2TB with microSD. Dual SIM device runs Android Oreo with ZenUI 5.0. On Camera it has a 12-megapixel rear camera with support for OIS, Sony IMX363 sensor and 0.03s Dual-pixel PDAF along with AI scene detection to detect 16 type of scenes automatically, has a secondary 8-megapixel rear camera with 120-degree wide-angle lens for portrait shots and shoot images with a wider view. It also has an 8-megapixel front-facing camera with auto portrait and Selfie panorama modes and has Face unlock apart from fingerprint sensor on the back.Packed with a 3300mAh battery with ASUS BoostMaster fast charging and AI charging ZenFone 5Z will retail for PhP 29,995.